← Desperate Measures – Look Inside! I have just literally hit the ‘publish’ button for the eBook version on Kindle and Smashwords.com for Volume III of A Fair Prospect: Desperate Measures. It will take up to 12 hours for it to show up on Amazon, I am told. It is, however, available immediately for download on Smashwords.com in all eBook formats ie for Kindle, Nook, Kobo, iPad/Phone, PDF for PCs etc. The paperback edition will be available shortly, ie some time in the coming week, and I will announce here as soon as it is up on Amazon. I apologise for not getting this Volume out in May as promised, but hope you will forgive me! More than that, I do hope that you enjoy the conclusion to this story. This entry was posted in Uncategorized and tagged A Fair Prospect, Darcy, Desperate Measures, Pride & Prejudice. Bookmark the permalink. So excited. Thanks for writing this story and having the courage to publish it! Do you have plans to write anything else? Thanks so much for Desperate Measures, love, love, love it! No apologies required. I will definitely get it as soon as possible ! Thanking you in advance for a great and enjoyable reading experience!! can’t wait to read it! I’m positive it’ll be worth the wait! Oh gosh no, Victoria! I have many many wonderful American readers (and friends), many of whom have left me lovely reviews too. I agree with Carol, no apologies necessary. I would much prefer a work that you are satisfied with and a great reading experience than for you to have rushed to satisfy all of us who were so anxiously waiting!!! I am looking forward to a great read!!! Wahoo, it’s here, it was hiding at the bottom of the Amazon page!!! Oh, I am so excited! it is great to know how important the quality is to you to take the time to do it right and be proud of your finished product, as there are too many authors who have published without taking time to edit properly; I have been so impressed with the quality of the first two books! I look forward to getting it this week. Yay!!!!!!!!! Thanks so much!!!!!!!!!! I did not notice anything amiss. If anything, only a handful of tiny typos hardly noticeable. I just love the whole story! Just awesome, lovely, sweet, heart-rending, wonderful! I hope you will write many more to come. I also give you 5 stars!!!!!!!!! Thank you so much for all your hard work! Just finished and it was definitely worth the wait! Wonderful conclusion! this was a wonderful treat to read. I’m so grateful for this author’s concern for authenticity and fidelity to the mores of the time. there was no offensive content in this novel, and I appreciate her leaving things to our own imagination… well done Cassandra! Cassandra, The sound you hear is my standing ovation on the completion of your trilogy. I have immensely enjoyed the first 2 books and the clarity, intelligence, wit and depth of your writing. As I am a significant reader of Austen-adaptations, I came across your first book by chance. So taken was I with Volume I that, upon completion, I immediately sought out whether you had produced Volume II. Lo and behold, there it was and this was consumed with relish. I signed-up for your postings so I would not miss the launch of Volume III. 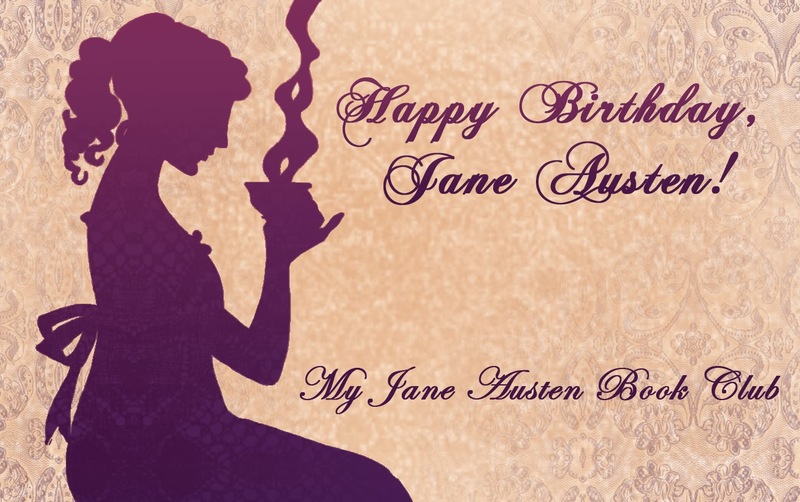 Of all the similar writers I have followed, your work is the one I most appreciate as I find that through your craft, I am taken back to the special place where only Jane Austen’s work has led me. So, bravo! I can appreciate the deep peace and sense of fulfilment it must be to definitively state that “It’s done”. I truly hope there are further inspirations that you can share with us in subsequent works. Now, I’m off to purchase and treasure your Volume III. Fabulous story, I have been awaiting volume three with much anticipation and I have not been disappointed! Your writing style compliments this story like no other variation I have had the opportunity to read. Congratulations of having published three such volumes, together they are my favorite Pride and Prejudice variation. Thank you. I’ll now get ready to order the paper back #3. Then start to read all three. Please keep writing. very happy to hear you have other books coming along. i just downloaded desperate measures and will buy the real book when it becomes available. this series is wonderful and thanks for keeping us updated regarding the progress, and, more important, writing these treasures!!! five stars for sure…. Wonderful story! I loved all three books! Mr. Darcy was the Darcy of my imagination! Lovely! More please! It’s been on Amazon since 10pm GMT on Sunday. Which do you use, .com, .co.uk or one of the others? I will try and post the link here for you. Alternately, go here: https://www.smashwords.com/books/view/322154 and you should be okay to download a Kindle compatible version. About 40 people have done it this way so far! For Amazon, if you type “cassandra grafton desperate measures” in the search block, it should pop right up! Enjoy! I must admit I was so excited for this book that within minutes of you posting I had downloaded the PDF version since amazon was not up! Thank you for such a wonderful series! Loved desperate measures. The entire series took such unique turns, compared to other variations. I find it amazing that one original story, can go in so many different directions. Thank you so much for such a wonderful treat. (Knowing the ending doesn’t make a difference-it’s the ‘how do we get there and what happens in-between). Beautiful, beautiful work on the whole. Thank you so much for sharing your talent with the world! I think you are right, with hindsight, regarding action over emotion. Originally, the story ended with the second proposal ie under the tree. I was very conscious as I wrote the additional chapters that the story might start to drag on if I focused too much on their emotions at that point. As for them not seeming overly joyful, I took a lead from Jane Austen herself where she said in P&P after the second proposal/Mr Bennet’s consent ‘every thing was too recent for gaiety’. As I had condensed the time between proposals down to just two weeks, I felt that might be the case – that they would be happy inside and they would feel it, but perhaps not outwardly show it at first as they came to terms with the change that had taken place. With regard to the younger Bennet sisters, they were such minor characters in this story, I decided to leave them out. Again, the Epilogue became much longer than I had originally planned, and I didn’t want it to become too cumbersome. It’s been a steep learning curve, and your helpful comments and feedback will make me into an improved writer (and editor!) and hopefully the next book will be better in terms of consistency. Cassandra, the stamps arrived today and they are beautiful. My grandson will be so happy. I loved the beautiful card also. I hope you move wasn’t too trying. Having moved 17 times in 42 years I know that it can be overwhelming especially when you are trying to keep up with things like this giveaway. I am so looking forward to your next books but I know resting might be something you would like to do now. Enjoy Switzerland! Thank you again for the thoughtful gift. Hi Maggie. So glad they arrived okay – hope they didn’t get bent at all! That is a lot of moving! Good heavens. We are about to head into that scary place, no Internet for 10 days between the packers coming in on Monday and moving into our Swiss apartment on 5th March. I am working on a new book which is in good shape but has gone on hold during the run up to this move. Hopefully once settled I will be able to fill my head with Regency England again! Thanks again for letting me know they arrived okay!